What are the chances that the next recession looks like the last one? I guess that number can’t be quantified, but I’d also guess that it’s a lot lower than people expect. The first article made the point that big banks aren’t doing much auto lending to sub prime borrowers anymore. 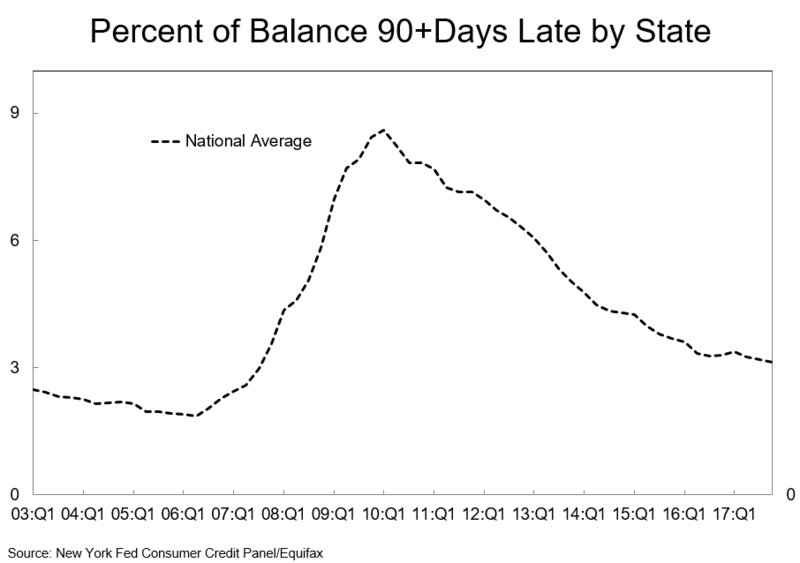 Subprime borrowers however, are still getting car loans. So where is it coming from? It comes from nonbank financial firms, who get money from, of course, big banks. 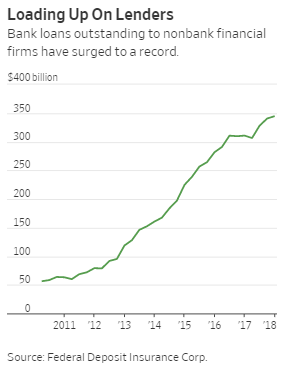 The article states, “Bank loans to Exeter and other nonbank financial firms have increased sixfold between 2010 and 2017 to a record high of nearly $345 billion.” The chart below shows the meteoric rise of loans to nonbank financial firms since 2010. 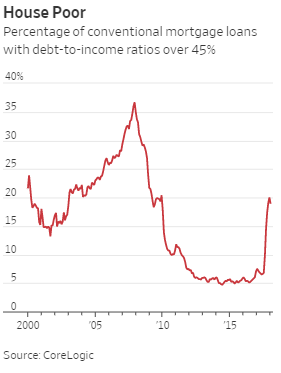 The second article begins with “More Americans are stretching to buy homes, the latest sign that rising prices are making homeownership more difficult for a broad swath of potential buyers.” The article shows in the chart below that one in five borrowers are spending more than 45% of their pre-tax income on borrowing. I’m a little dubious of this chart. 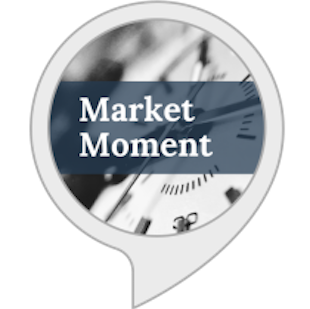 The spike doesn’t add up when you consider that 30-year mortgage rates fell from December 2016 to December 2017, while the percentage of mortgage loans with debt-to-income ratios over 45% rose from 7% to 20% over the same time. Further more, home prices rose just 6% over the same time. Something seems amiss. These two articles paint an ominous mosaic, but these two charts alone don’t tell the whole story. 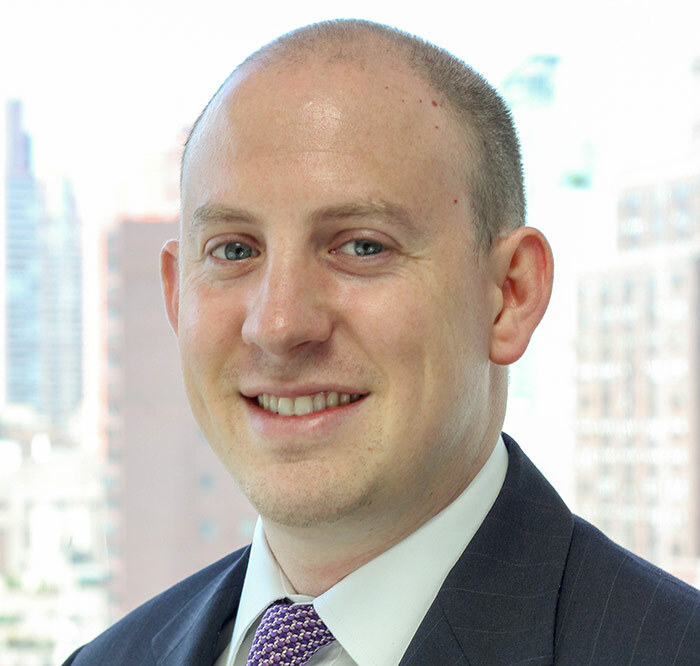 I pulled some charts and data from the Federal Reserve Bank of New York which shows that another credit crisis is not right around the corner. 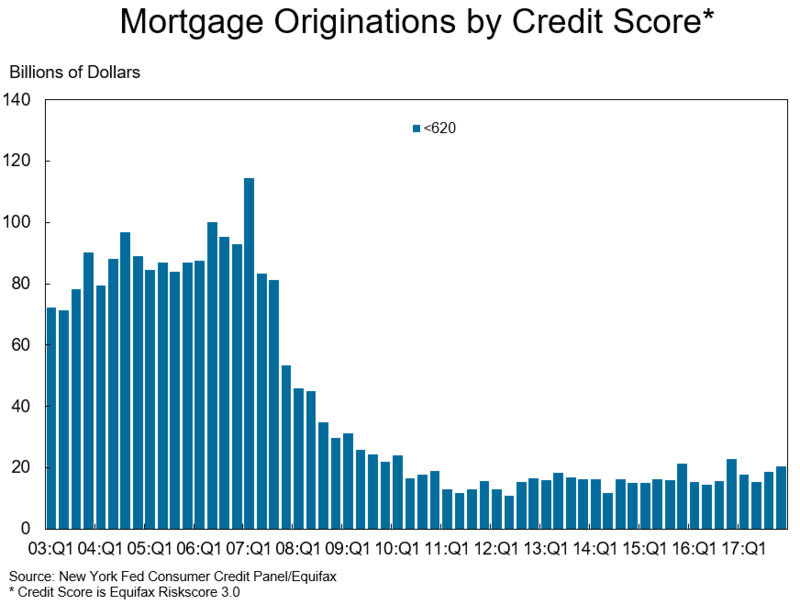 Subprime mortgages fell off a cliff and have remained low since the housing bubble burst. 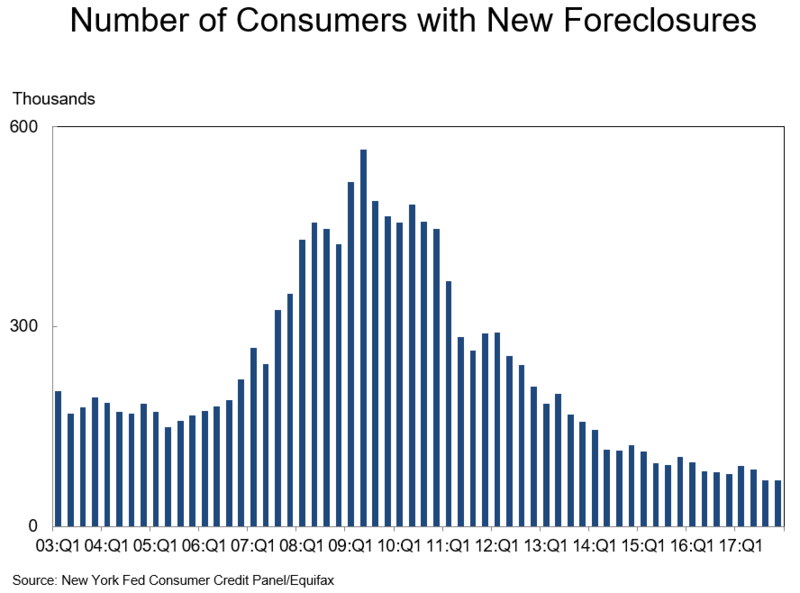 The same goes for new foreclosures. 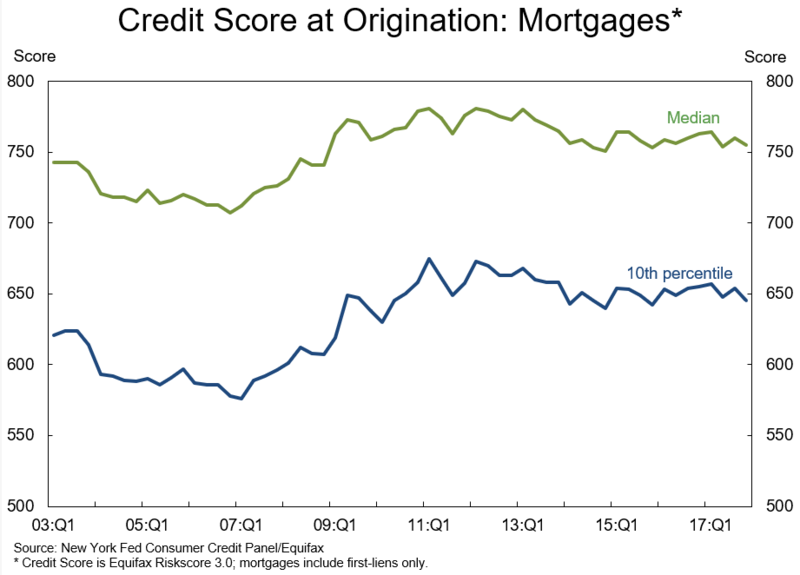 The credit score at the 10th percentile is 645, up from a low of 576 in 2007. 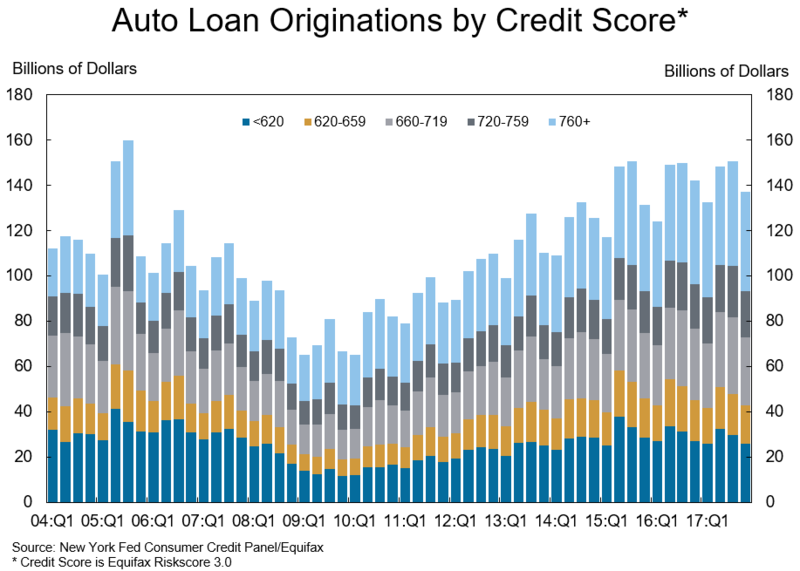 Auto loans are on the rise, but 47% of all auto loans come from borrowers with a credit score of 720 or better. 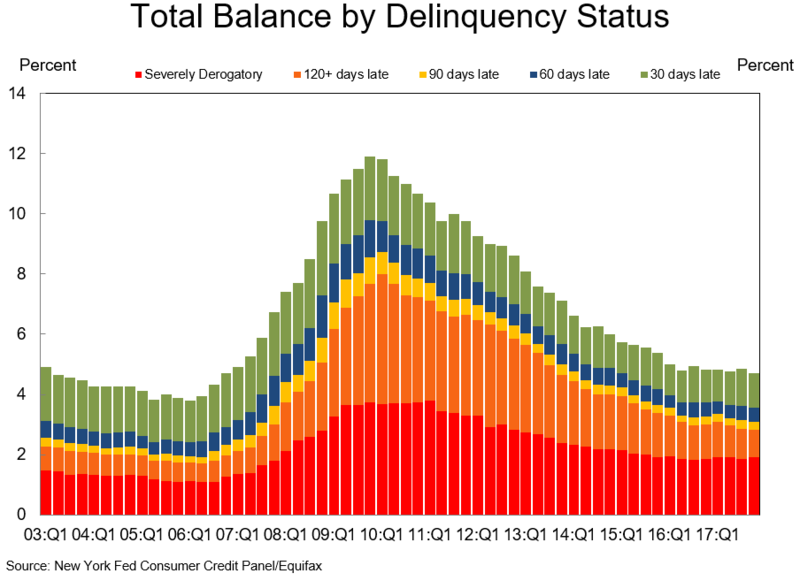 Borrower delinquency has come down across the board. 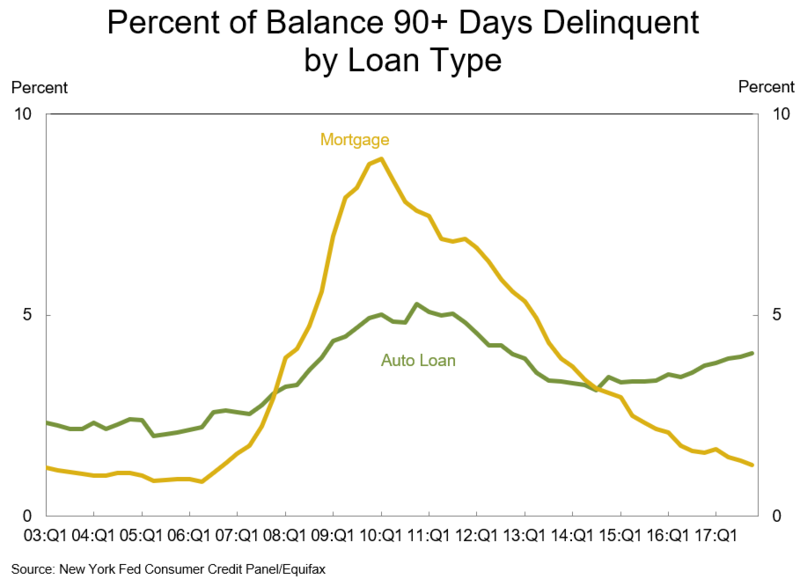 Home loans 90 days delinquent have plummeted, while auto loans 90 days delinquent are on the rise. 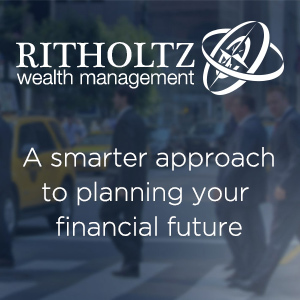 The credit crisis has left deep scars in investor’s minds, so it’s natural to be sensitive to any sign of trouble. 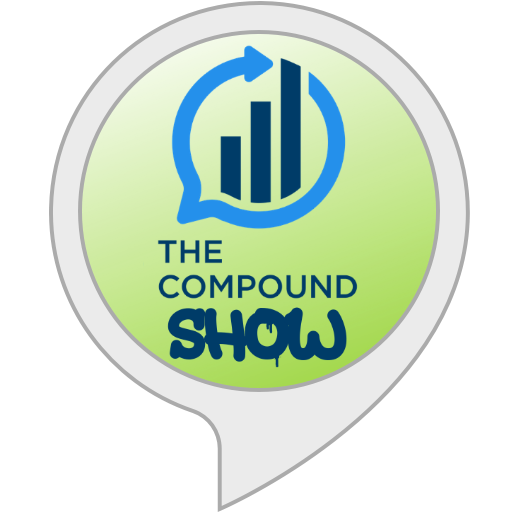 But the consumer is doing pretty well, the burglar never comes in through the front door, and the next crisis won’t look exactly like the last one.